Our big event celebrating planting 50 baobab trees was a huge success! The purpose of the event was firstly to celebrate and make heroes of the Baobab Guardians, thereby inspiring others to also plant trees. Secondly, it was to present certificates to those Guardians whose baobab seedlings have almost reached 3 metres in height which means they are able to survive on their own in the wild. Thirdly, it was to launch our Baobab Booklet The Little BIG Baobab Book and offer it to the schools in the area. 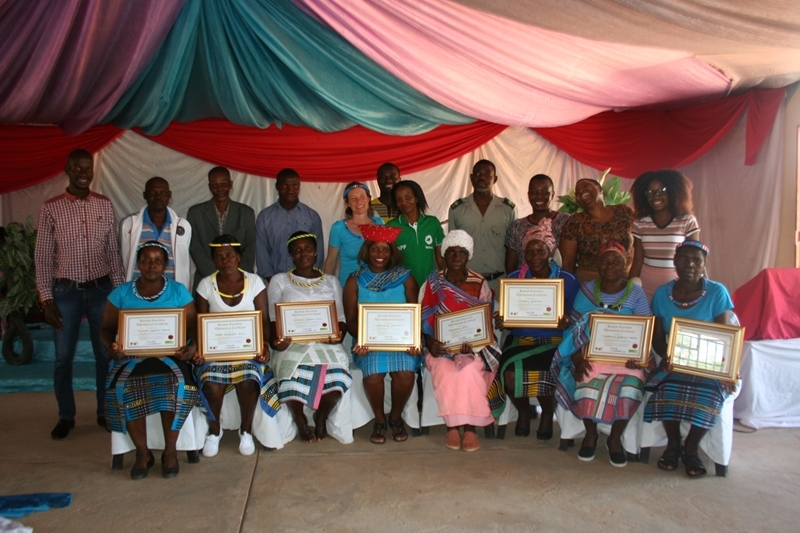 The event was held at Mammbeda’s Church in Zwigodini village. 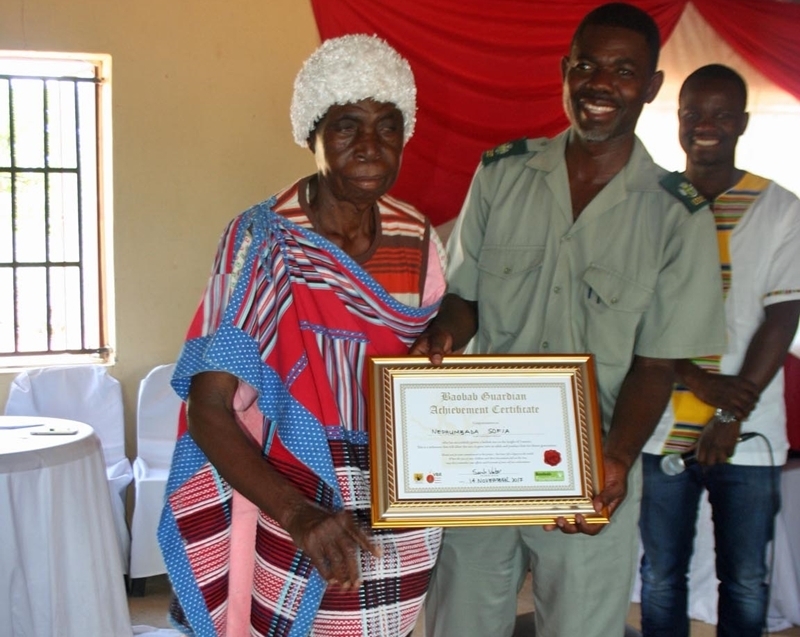 The event was attended by many of the Baobab Guardians, Headmen and representatives from three villages, Zwigodini, Mukovha wa Bale and Muswodi Dipeni Villages. It was also attended by 5 LEDET (Limpopo Department of Economic Development, Environment and Tourism) officials, 3 Wits University students and 10 University of Venda students from the Universal Greening Organization (a student environmental group). It was a wonderfully vibrant celebration shared by all with much singing and dancing throughout the day. There were many memorable moments: When Sophia Nephumbada received her certificate, it was a particularly proud moment for her. She can’t read or write and has never been to school. This is most likely the first certificate she has ever received in her life. Receiving it made her feel as if her contribution had truly mattered and she was deeply moved. “Unless we protect the baobab seedlings ourselves from domestic livestock and animals, baobabs will go extinct in the next few hundred years. Our descendants will not know what this tree is. This is why the work that these Baobab Guardians are doing is so important for our heritage and our future. Lets protect the baobab tree and be proud of it. Let us learn about it and show the world our heritage. In addition to celebrating the baobab guardians, we are also launching the Little Big Baobab Book. Each one of you has a copy and I will be giving copies to all the schools in Niani for the children to read and the teacher to teach about the baobab. Let us all read the book and let us add our own knowledge of this tree and let us tell every one in the world our story of our Baobab. I did not write this book in Zulu or in Xhosa or in Sotho. This tree does not grow in the places where these languages are spoken. I wrote the book in TshiVenda, because it is OUR tree! Mr Khuthadzo Rantsana who respresented Muswodi Dipeni Village applauded the baobab guardians saying that they were an inspiration to all of us. He recommended that children be encouraged to plant baobab trees as well and join the baobab guardians program. I would like to invite everyone to follow the example of these exceptional men and women, the Baobab Guardians. Let us all become Baobab Guardians ourselves and encourage others to likewise take action to protect the future of our magnificent heritage and be part of contributing to a Culture of Caring. . Many thanks to Vhembe Biosphere Reserve who donated towards all the costs of the event and Oasis Water who donated water to the event. Read about our final tree planting event here. Find out more about our Baobab Guardian project here.